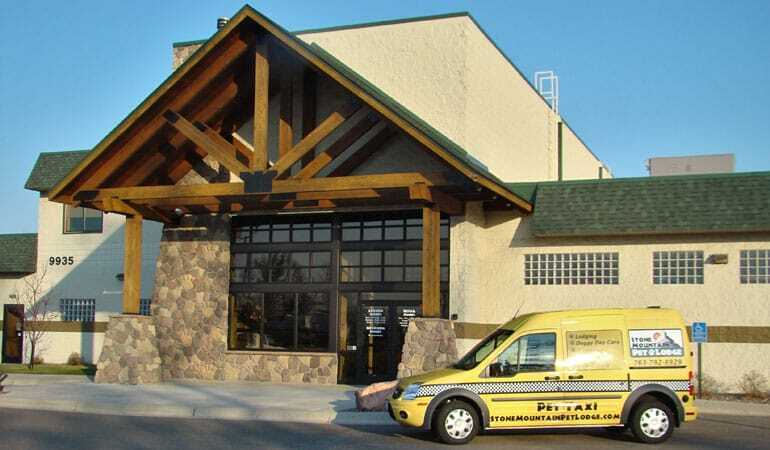 Stone Mountain Pet Lodge was built in 2005 on Radisson Road in Blaine, MN. The 23,000 square foot lodge building is situated on a 10-acre site surrounded by woods and wetlands, which gives it an “up north” feel in an urban location. 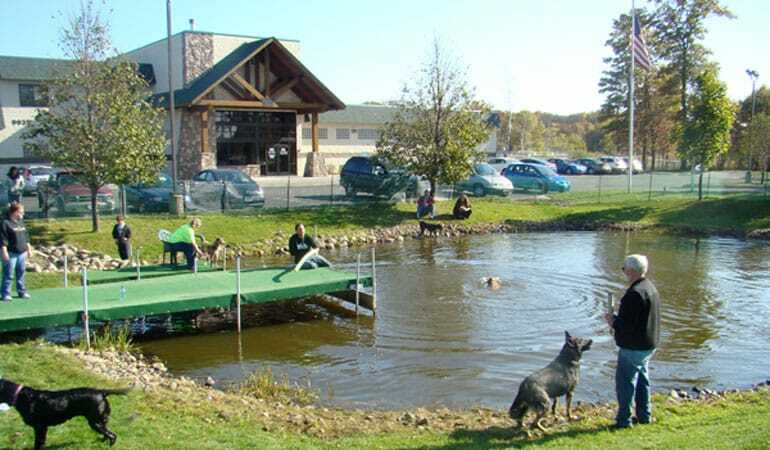 Stone Mountain is the largest boarding kennel in the state of Minnesota. It has the capacity to hold 300 dogs and 40 cats. Lodging is available 365 days a year. Our lodging business cycles in a way that is similar to a hotel, with our busiest times occurring on weekends, holidays, spring vacation and the summer months. Doggy Day Care was added to Stone Mountain’s offerings in 2009. 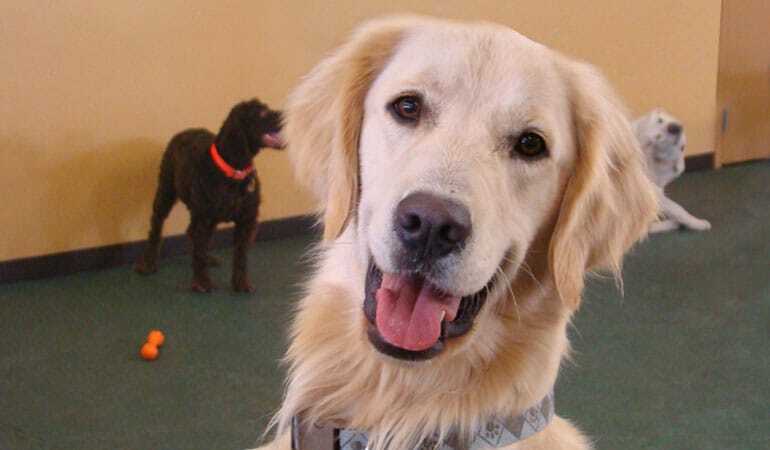 Doggy Day Care is a great option to give dogs some socialization, care, and exercise while their owners are at work. Doggy Day Care can also be added to a dog’s overnight stay for variety and socialization for the dog. We now offer Doggy Day Care seven days per week. 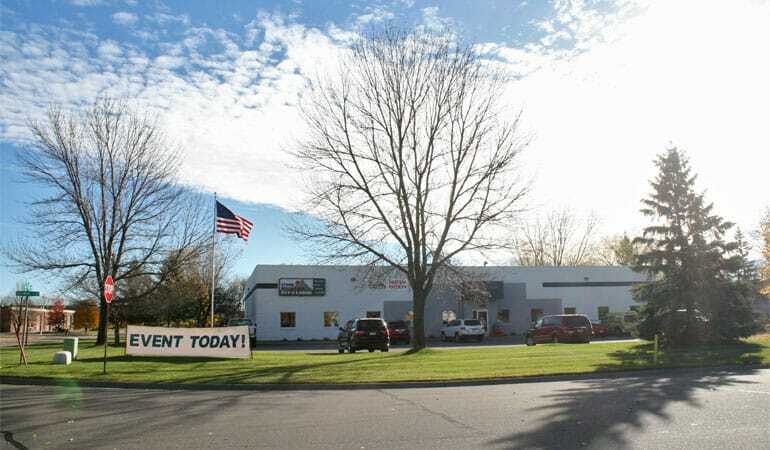 We opened our second location in the fall of 2014. 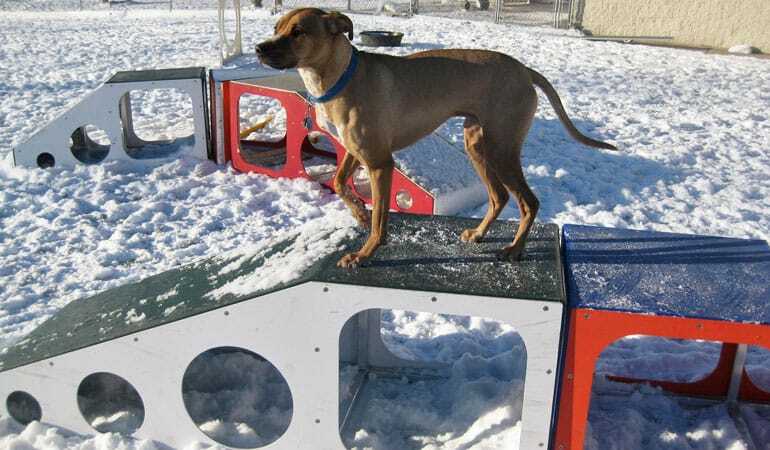 The Baltimore Street location features an even larger indoor Doggy Day Care play area and offers all the services of our Radisson Road location, with the exception of overnight lodging. Our goal is to provide a safe, clean, supervised environment for family pets while their owners are away. Our focus is on the safety, care, and comfort of dogs and cats staying with us, to offer our clients’ pets a home away from home. 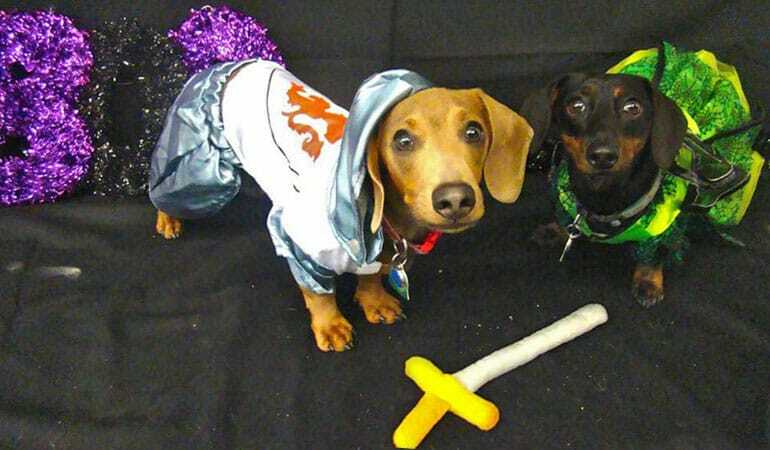 Each year Stone Mountain Pet Lodge has a Halloween Party that includes a dog costume contest. Here Hank and Gracie compete for the kingdom! Every now and then we host events at our facilites. You can even book your own event if you'd like. Email our Event Manager if you would like more information! Fun classes for dogs in the summertime can draw crowds. Most dogs love to swim and our dock jumping classes teach them the techniques they need! Don't have time to pick up your pup? We offer a pet taxi service to help you save you time! The range and cost of this service depends on the location. You can also make an item purchase and have that dropped off with your pet if you'd like. Pea Gravel retains a cool temperature but can quickly be cooled with water if it gets hot. The rocks are smooth which are easy on the doggie's paws and decreases the risk of scrapes and cuts to the paw pads. We do everything we can to put a smile on your pet's face. We want them to have a combfortable stay and relaxed (or energetic for some) day. 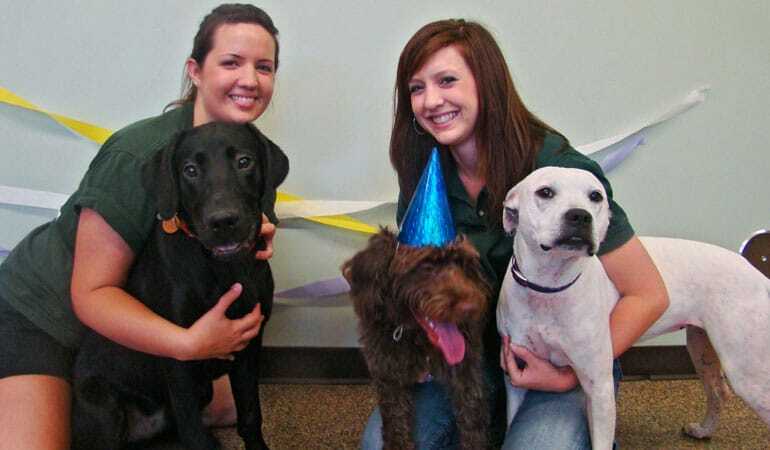 We hold birthday parties for your dog when it is their big day! We want them to feel special as we do on our birthdays! Every holiday we do photo opportunites to take lovely photos of your pets. We set up areas to take wonderful photos of you and your pets, or just your pets if you'd like. Chester loves to join in on the fun. Chester comes around several times a year to spread the cheer! Be sure to stop by and get your picture taken with him when he's around. Our Doggy Day Care facilities use equipment made by Stone Mountain Pet Products. These pieces of equipment and durable and weather resistant allowing them to be used all year. 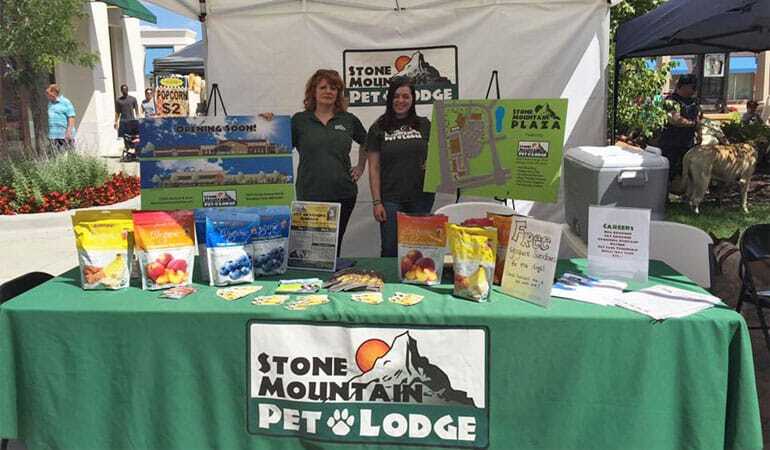 Stone Mountain Pet Lodge contributes to many local fundraisers and participates in community events such as a Slice of Shoreview, Minnesota State Fair, Humane Society Walk for Animals and more. Events in our Petvention Center, such as Healing Touch for Animals seminars, Minnesota Purebred Dog Breeders Association Annual Meeting, and Positive Gun Dog Training. 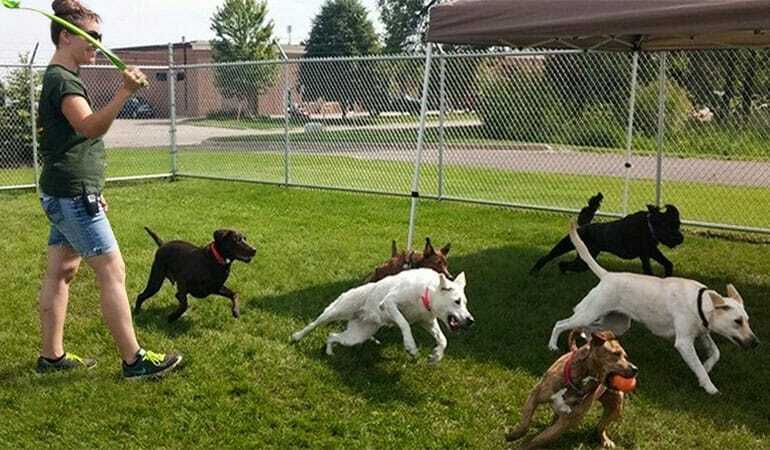 Our staff takes the dogs outside during Doggy Day Care hours and plays with and exercises the dogs. 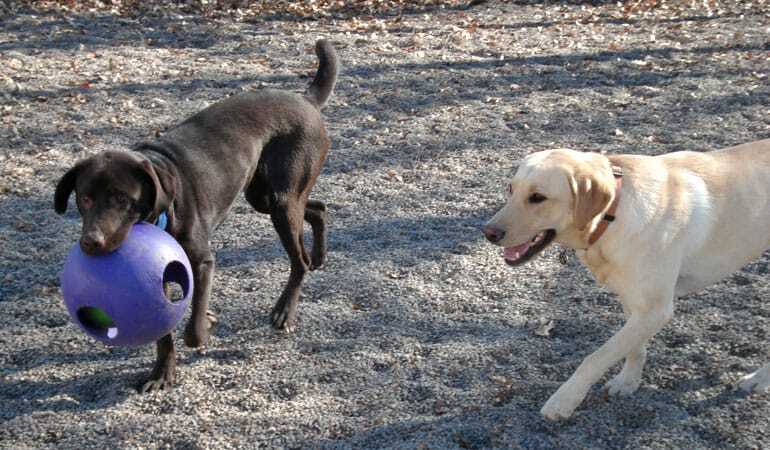 Playtime is fun for everyone at Stone Mountain Pet Lodge! 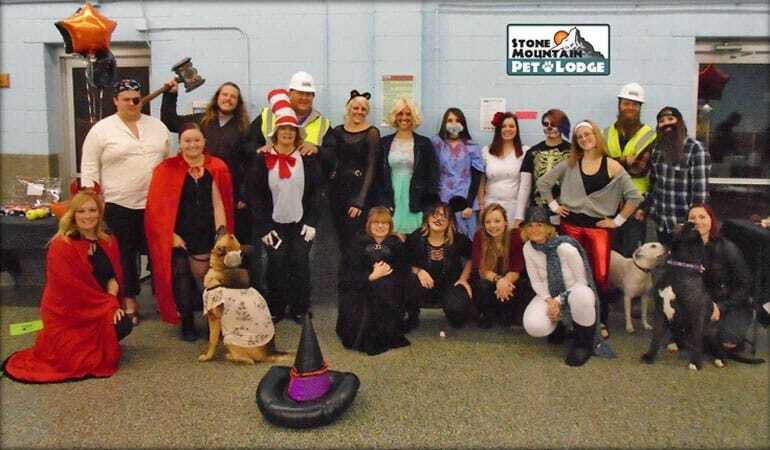 Stone Mountain Pet Lodge is a premier dog, cat, and exotic animal boarding facility serving the Minneapolis and St. Paul area in Minnesota (MN). Holding to a high standard of pet boarding, Stone Mountain Pet Lodge can meet all of your boarding needs. If you need a place to board your dog, cat or exotic pet, Stone Mountain Pet Lodge is Minnesota's boarding destination. At Hot Springs Grooming Salon, we are driven to offer your dog the best grooming facility in the area! Our professional pet stylists and bathers are committed to providing you and your dog with outstanding service by using top-quality products and knowing the latest styles. Our facility has the latest equipment and the safety of your pet is our primary concern. Whisker Ridge is an exclusive Cattery and Cat Grooming Salon to pamper your favorite feline with love and care. As members of the National Cat Groomer Institute of America (NCGIA), we strive to offer outstanding service. We provide luxury lodging options including our exclusive Penthouse Suites for your feline favorites. Our experienced grooming staff offers bath and nail packages to turn even the most finicky into a happy and healthy cat. We hold a wide variety of training classes that will suit any dog's need. From Puppy Kindergarten, which will get you pointed in the right direction to raising a well-rounded friend, to Fungility: Agility + Fun, which offers a casual introduction to canine agility, we have a class that's right for you. Other classes offered range from different levels of Obedience to Dog Tricks 101, and more. Please visit our Training sections for each of our location page for more information. Pet Supply Outfitters carries a wide variety of premium dog and cat food at competitive prices, as well as many different kinds of treats, ranging from our hand-decorated baked cookies to specially designed dog food rolls commonly used to assist in training. In addition to our food and treat offerings, we carry a variety of day-to-day necessities for your pet, such as collars, beds, leashes, crates and much more. We are your premier pet supply destination! Stone Mountain Pet Lodge is a small business striving to make a big difference in our community! Whenever you choose to shop with us, you are supporting a local company that is committed to making a positive impact in our community. We want to do our part to help organizations in Blaine, Brooklyn Park and the surrounding communities – especially pet related – to reach their goals. Since Stone Mountain Pet Lodge opened its doors in 2005, we have made it a priority to give back to the community. Whether by offering financial assistance and discounted boarding to rescue organizations, or donating our services to community organizations for silent auctions, Stone Mountain Pet Lodge is committed to doing our part to help the community around us. We employ a professional and knowledgeable staff. We seek out people with Animal Behavior degrees or Veterinary Technician certificates. Grooming and bathing services are available on site. We hope this is a great convenience to people working in the area. Each pet receives individual attention and care. The on-site manager lives in an apartment located on site and is available to secure the building and handle any emergencies. Suites will be hosed down and mopped. Pets will always be kept dry during our cleaning process. Our facility is completely air conditioned, heated and properly ventilated to keep pets comfortable in any season. All areas well maintainied and kept free of waste and other litter. Waste is removed immediately to maintain an attractive appearance and smell. Our goal is to have a spotless, nice-smelling facility where pet owners can feel comfortable leaving their pets. People can tour our facility anytime – it will always be in “showable” condition. No appointment necessary. Enjoy a tour with your dog. Experience our site from their perspective. We employ a full-time staff of pet technicians to keep the cat condos, dog suites, and other areas clean. Suites and condos are thoroughly cleaned and sanitized daily and spot cleaned throughout the day. In addition, canine and feline areas will be separate and will have their own air filtration systems. Each pet is checked for injuries, ticks, and fleas. We have a thorough check-in and check-out process for our pet guests. All pets must have verification of up-to-date vaccinations. We work closely with our guests’ veterinarians to make sure vaccinations are current. We do not accept pets without up-to-date immunizations. Doggy Day Care is always supervised. Only one dog will be housed in each suite, unless an owner requests that two dogs from the same home be housed together. Only predefined suite styles are used for family pets. Staff participate in ongoing training so they are prepared to respond to emergencies. We do not offer on-site veterinary care, but we foster good relationships with local veterinarians and emergency services. In fact, veterinarians send us some of our best referral business! 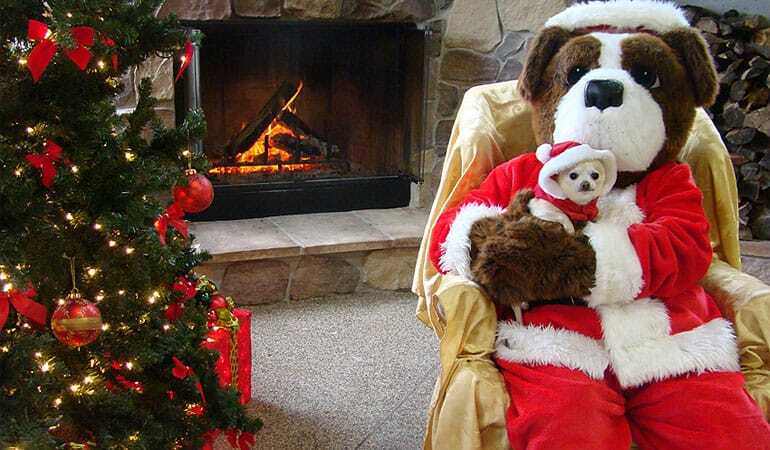 Although Stone Mountain Pet Lodge is not open 24 hours a day, there will be someone on the premises at all times. The on-site manager lives in an apartment at Stone Mountain and will be available to secure the building and handle any emergencies.